We have the expertise to run a full systems test and provide you with a risk assessment and final report for your audits. Utilizing our DR Test & Validation services will raise your Risk Assessment/Audit Maturity Scores and check off another one of those boxes required to attest for Meaningful Use. 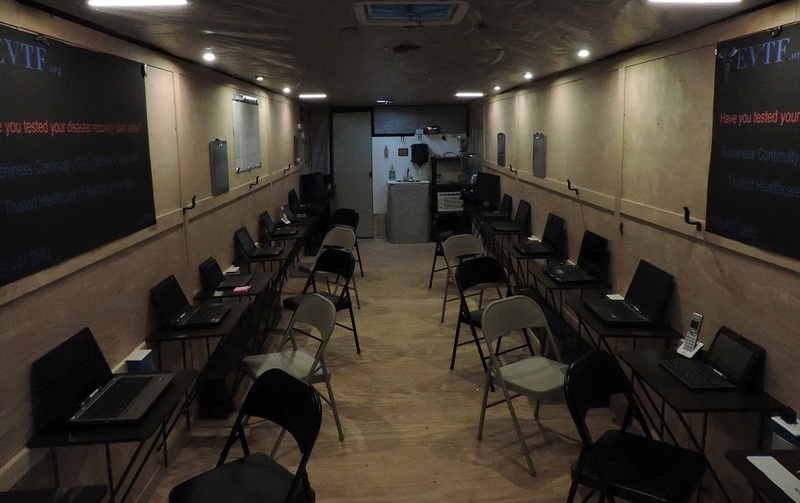 Many sites opt for the additional level of proven business continuity and utilize one of our Affordable Mobile Command Units ( AMCC ) during their test. Give us a call. It never hurts to know more and the call won’t cost you anything; but the 15 minutes you give it. Testing and Validating your DR plan is mandatory. Just like everything else, when do you find the time? Speaking with the Data Replication and Disaster Recovery providers, the actual participation rate with their customers in annual tests is very low. When speaking to their clients, we hear the same reason – no one has time and there are other fires to put out before we pull people away to perform this work. We have decades of experience in successful DR testing, documentation, and Security Audit Reporting. Partnering with us to perform your testing will guarantee that it is added to your “Done List” and improve your B.C/D.R. Risk Assessment Scores. We understand the full range of healthcare processes, work-flow, and application functions. When you partner with EVTF to perform your annual DR testing, it gets done on time, in a comprehensive manner, and the reporting with audit trails are inspection ready for your next risk assessment. We’ve performed these tests on an annual basis for some very demanding customers and improve our processes with each passing inspection. Your LAB department’s CAP inspection, the JCAHO, KPMG Financial Audits, State Inspections / DOH, etc… We’ve helped our customers breath a lot easier with our consistent ability to provide them with the evidence required to not only pass an inspection; but to set high standards of performance with our time proven processes & documentation.